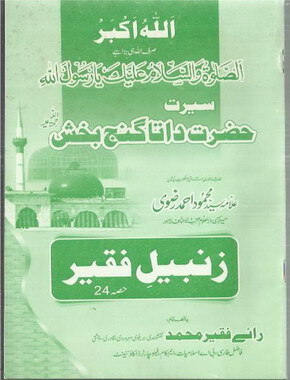 Allama Syed Mahmood Ahmad Razwi's Book Written In Urdu Name: "Seerat Hazrat Data Ganj Bakhsh Rahmatullah Alaih" , Read yourself and tell others to read also. Available Languages This Book Is Not Available In Any Other Language. Statistics : This Book Has Been Seen (4352) Times & Downloaded (1108) Times.